It’s essentially Simon for the mash-up generation and one of the best sounding games out there. There’s a lot of hype centered around Activision’s ‘DJ Hero,’ but it certainly lives up to it. Meanwhile, fit avatars are contorting themselves to get you in shape. The Wii has gone well beyond fit -- you’ve got former MTV veejays doing pilates, and now Jillian Michaels in the jungle for a fitness boot camp, because she wants you to feel like the Biggest Loser in what’s actually some fairly strenuous exercise. One of the most draconian features of ‘Jillian Michaels Fitness Ultimatum 2010’ is where she takes off running around her workout island and you’re supposed to keep up with her. If the game seems a lot like ‘Daisy Fuentes Pilates,’ it’s because the same developers were involved, but again, the kind of exercise in this second edition of the Fitness Ultimatum is quicker to work up a sweat. FYI… NBC has another show with Michaels in the works, “Losing It with Jillian Michaels,” but before it airs you can join her on the Wii. Meanwhile, another game has music fans nodding their heads while navigating the turntable to keep the beat going. 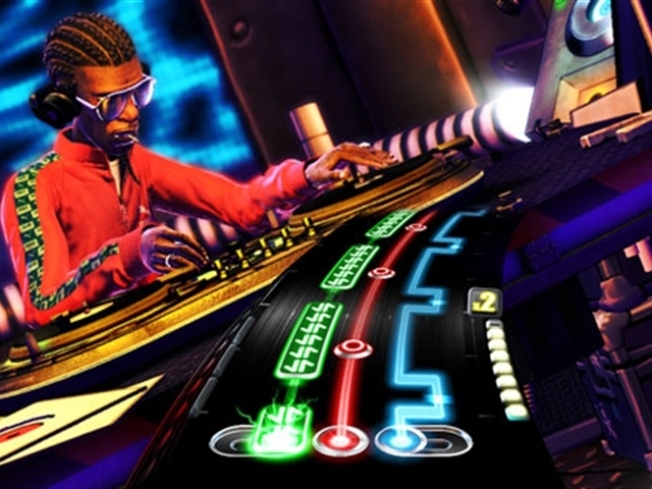 DJ Hero perhaps makes the most sense in this era of play-along, music themed games because much like the DJ scene, timing and dexterity are crucial and button mashing in time is part of the real life process. 93 unique genre blending mixes merging hip-hop, rock and electronica come to life as you scratch, crossfade and sample your way to hero status. This is easily one of the most exciting releases of the year worthy of going multi-platinum. Laurence Scott gets the party started on the game console each week with his reviews seen on NBC stations around the country.